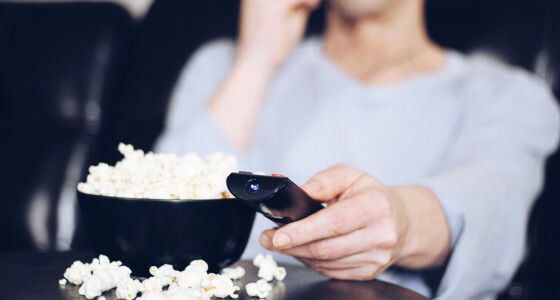 We all do it: you get home after a long day at work, grab something tasty to eat, and settle down for the evening with your favourite TV show. But did you know all that binge-watching could be imparting some valuable life lessons, too? Here’s what the PensionBee team are watching on telly at the moment - and what these shows have taught us about money. There are plenty of life lessons to be found in Game of Thrones, from learning who to trust (and when) to sticking by your mates to the value of having a giant wolf for a bodyguard. But when it comes to money, look to the Lannisters. The Lannisters’ house motto - “always pay your debts” - is good life advice for anyone. With the average UK household now almost £13,000 in debt, it’s never been more important to stay on top of repayments. Paying off debt can seem daunting but with a touch of Lannister courage (and some of Cersei’s strategy) it doesn’t have to be all that scary. Focus on paying off more than the minimum required to make a dent in your debt. It can also help to set up automatic payments so you can work on becoming debt-free without having to think about it. Girls can teach some pretty important lessons by showing you exactly what not to do, whether it’s in your career, your relationships, or your finances. In fact, Girls begins with main character Hannah being told by her parents that they will no longer financially support her. Our take away? Build yourself an emergency fund. Relying on financial support from others makes it tough to be smart about your money and can have a real impact on your independence. Plus, even if you’re not dependent on anyone else, an emergency fund can get you out of any difficult or last-minute situations, like an unexpected bill or life change - something the girls in Girls know all too well. OK, so we’re definitely not going to suggest making any unethical business decisions, but you might be surprised at the (legal!) money lessons you can learn from Narcos. Pablo Escobar may have had questionable ethics but he was also the richest criminal in the world. Narcos shows us the kind of entrepreneurial thinking that got Escobar this title, and it’s a reminder for us to think big. Now, we don’t recommend getting involved in the kinds of illegal activities Escobar did, but we do think there’s merit in being savvy with your money. Escobar understood his finances and knew how to capitalise. You can only make the most of your money if you understand it, so start by getting to grips with what’s in your wallet. After you’ve done your research, consider ways to improve your finances. You might want to write up a budget to get a clear overview of your money, and then you can work out things like how to save and whether investing would be suitable for you. Our main take away from Narcos is the importance of feeling empowered to take control of your money - just maybe a bit more sensibly than Pablo Escobar does. Frank Underwood from House of Cards is a pretty shifty figure, just like Pablo Escobar, but he can teach us a really important money lesson: cover all your bases. Frank understands the twists and turns of a political life so he’s always strategising and thinking one step ahead. You can do that with your money, too. The key is to find effective ways to manage your money. There are loads of apps out there that can help you with this. From banking and saving to budgeting and even getting a mortgage, you can do it all from the palm of your hand. Going electronic can make it a lot easier to stay on top of your finances, which can help you to think more clearly about what you need from your money. Maybe you want to save up for your next big holiday or perhaps you’re looking to buy your first home; whatever it is, by improving your money management, you can think more strategically about your wallet. Ah, the Great British Bake Off. The cosiest telly out there, and some of the most inspiring. Full of humble, talented people supporting their competitors, GBBO reminds us to persevere with kindness - and to always use cake-based innuendo wherever possible. Most of all, GBBO reminds us to stay prepared. Whether a baker is taking a risk with an untested recipe or whipping up something tried-and-true, success is determined by who can keep their cool and improvise when necessary. Being prepared with your money is also key. Saving is important for everyone, for a variety of purposes. Whether you’re saving for an emergency, a rainy day, or for your retirement, it’s vital to think ahead and set yourself up to meet your goals. What TV shows are you watching at the moment? Have you learned any money lessons off the small screen? Let us know in the comments!